Have you noticed a rise in the mention of electronic cigarettes, not just among peers but also in entertainment and social media? Are you worried whether your teenage child will also be exposed to it or be tempted to “vape,” or try an e-cigarette. For those who’ve never seen an e-cigarette before: a popular version looks like a pen or a flash drive. But that’s just the tip of the iceberg, as retailers and DIY vapers have taken creativity to the next level. Imagine an e-cigarette shaped like a turtle, one with a cartoon design, or one fashioned out of an attractive mint box. These interesting designs are part of the e-cigarette’s appeal. When someone uses an e-cigarette, the device heats up to vaporise a solution that often contains nicotine. You won’t smell smoke or see ash from an e-cigarette. That’s why many teens, and even parents, perceive e-cigarettes as harmless fun. While e-cigarettes don’t burn tobacco like conventional cigarettes, teens who vape expose their developing brains to nicotine, which is addictive. An independent study carried out between 2017 and 2018 examined nicotine levels in “pods,” or small e-cigarette devices that resemble flash drives. It found that the nicotine concentrations in pod devices were higher than in other e-cigarette types. Additionally, the pods generated aerosol that contained nicotine, at a level comparable to that of traditional cigarette smoke. Over time, nicotine exposure can lead to changes in the brain, and this damage can be permanent. For instance, parts of the brain that control learning and attention may be harmed, and this may affect your teen’s performance in school. Furthermore, e-cigarettes contain cancer-causing chemicals, for example formaldehyde, which is commonly used as a preservative in laboratories and mortuaries, and benzene, which is found in car exhaust. Both of these chemicals can cause cancer. More specifically, they have been linked to leukaemia. There is also concern that youths who use e-cigarettes are more likely to start smoking cigarettes. This is known as the gateway effect. Studies in the US found that compared to non-users, e-cigarette users were three times more likely to become cigarette smokers. In the UK, a study involving 2,836 adolescents found that people who used e-cigarettes were four times more likely to start smoking 12 months later. Other studies in Canada and Poland similarly support this gateway effect. 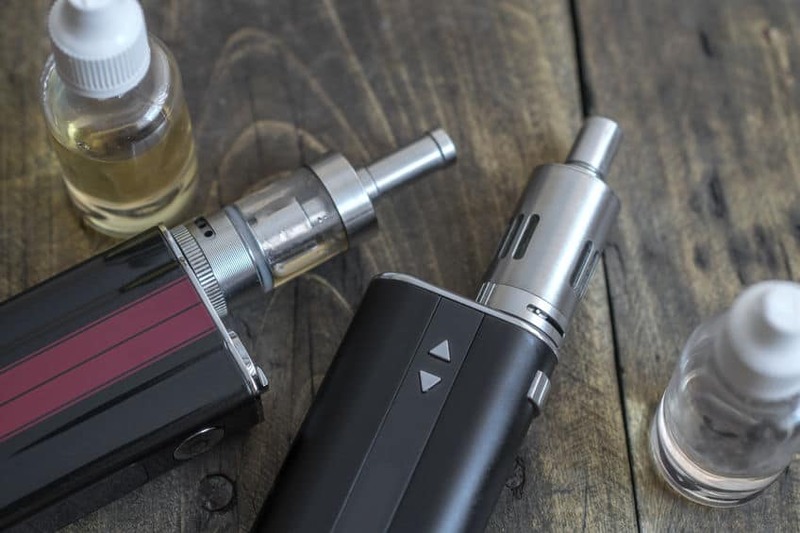 In the US, the Food and Drug Administration reported that in 2018, 1.3 million more high school students had used e-cigarettes, as compared to 2017. The US National Institute on Drug Abuse has declared this a “worrisome” trend. Over in the UK, the president of the Campaign for Tobacco-Free Kids, Matt Myers, has called on the government to prevent a similar situation from happening. However, according to Rosanna O’Connor—the director of drugs, alcohol, tobacco, and justice at Public Health England—the UK has stricter e-cigarette regulations than the US. For one, print and broadcast ads for e-cigarettes are banned in the UK. Here in Singapore, the Ministry of Health hopes to discourage all forms of smoking within the country. Under Singapore’s Tobacco (Control of Advertisements and Sale) Act, those caught purchasing, using, or having in their possession e-cigarettes, are liable on conviction to a fine not exceeding S$2,000. This legislation also prohibits the importation, distribution, sale, or offer for sale of e-cigarettes. Those guilty of the offence are liable to a fine not exceeding S$10,000, or to imprisonment for a term not exceeding six months, or to both. Repeat offenders are liable to a fine not exceeding S$20,000 or to imprisonment for a term not exceeding 12 months, or to both. A reminder to parents: As e-cigarettes are readily available abroad, do warn your children against buying e-cigarettes overseas (or online) and bringing them into Singapore, as there will be repercussions if they are caught. Concerned About E-cigs? Talk To Your Kids! To begin a conversation about e-cigarettes, find a credible resource to browse with your teen. Ensure that information about e-cigarettes is presented in an accessible and age-appropriate manner. Focus on discussing the possible health effects of vaping. As the research surrounding e-cigarette use is fairly new, be prepared to encounter conflicting findings and viewpoints. Together with your children, take the time to evaluate your research, before deciding if it is valid. Above all, be a listening ear for your children. They may be dealing with peer pressure, such as friends urging them to experiment with new products. Draw from your own experience of resisting peer influence to inspire your children. For more information and support, please visit HealthHub.